Wallace Chevrolet > Buick > 2017 Buick LaCrosse Teaser Photo Showscases New Design Language! 2017 Buick LaCrosse Teaser Photo Showscases New Design Language! There’s a new Buick LaCrosse waiting in the wings and the company today released a teaser photo showing its new grill and fascia, which is heavily inspired by the positively striking Buick Avenir concept that debuted early this year. It’s also a sign of things to come. Buick says the incoming vehicle is the first in a line of re-skinned vehicles that will feature the LaCrosse’s striking grill and three-colour tri-shield insignia. Like the Avenir, the restyled LaCrosse features a new chrome accent piece that connects the insignia to the outer edges of the grill, and it looks fantastic. 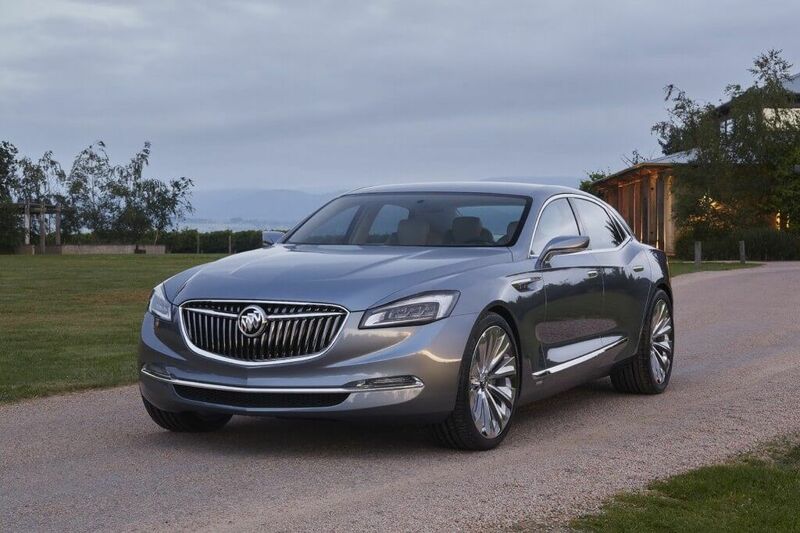 The Buick Avenir Concept was first shown at the 2015 North-American International Auto Show in January. There’s also a whole going on under it’s new sheetmetal, too. The LaCrosse will sit on a whole new chassis that is both lighter and stiffer than than that of the current generation and promises to deliver a more responsive and fun driving experience. Sounds good to us! The all-new 2017 Buick LaCrosse will make its world debut at November at the Los Angeles Auto Show and we’ll be sure to bring you all the juicy details as soon as they are released. In the meantime, what do you think of Buick’s design language? Is this a step in the right direction? We think it looks spectacular and we can’t wait for the full reveal in two months time.